Since nothing is secure in this world, all smart individuals and businessmen understand the importance of storing their essential files, data, and databases in different places. You can never estimate when you will come across accidental damage. Hence, ensuring at least a safe copy of all your data is essential to be prepared in case of disasters. This is exactly where Dropbox comes in since USB and websites are not entirely reliable. In most organizations, when things like these happen, everybody starts pointing fingers and tries to shift the blame on others. However, you can easily do something more impressive than this and by implementing a disaster management plan in place beforehand. Hence, if you are using WordPress, give the headache of disaster management to Dropbox that supports more than 1.5 billion fresh files every day. Trust it and keep your website safe and sound. WordPress offers a host of backup and security plugins that allow you to integrate Dropbox with your WordPress site easily and enable you to restore your website even in cases of grave dangers. We have compiled a list of 11 efficient WordPress Dropbox Plugins that allow you to integrate your Dropbox cloud storage with your WordPress site. Take a look. With over a million active installs, UpdraftPlus is one of the world’s highest ranking plugin for creating backups and restoration. You can easily backup all your files and database backups directly into Dropbox. Not only this, but you can also use Google Drive, Amazon S3, UpdraftVault, Rackspace Cloud, DreamObjects, FTP and OpenStack Swift to backup and restore your site data with a single click. What’s better is that it is available for free. This paid version of the WordPress dropbox plugin called UpdraftPlus Premium enables you to attain even more. Some of the most useful features that it provides are the creation of duplicates, migration of websites, Multisite compatibility, backups for non-WordPress files and databases to different remote destinations and free dedicated expert support. One of the most efficient backup plugins in the market, BackWPup – WordPress Backup Plugin allows installation of all site data including /wp-content/ to an external backup service like Dropbox. It also supports S3, FTP, Google Drive and many more. The best thing about this plugin is that it backups your whole data in a single backup .zip file. This way you can restore everything quickly with a single click. All these features are available with the free version of this plugin. The paid version of this WP dropbox plugin offers incredible features that make your site even more secure and backed up. Some of the premium features of this powerful plugin are backups to Amazon Glacier, email connectivity for logs and backups, Multi-site support and backups restoration from the WordPress backend. Backup Guard is one of the most powerful opensource dropbox plugins for backups, restoration, and migration. 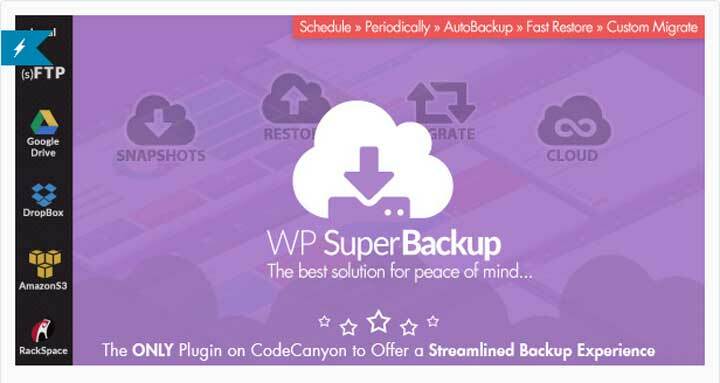 It is the complete WordPress backup plugin that lets you effortlessly back up every post, comment, media file, revision, and dashboard setting on your site to our servers. Get protected against hackers, accidental damages, malware, and host outages and keep your data protected on Dropbox. The paid version of this useful plugin offers features like uploading and importing backups from Google Drive, Amazon S3, OneDrive, and SFTP/FTP. Using the premium version of this plugin also enables you to receive emergency support with a Turn-Around-Time of up to 24 hours. XCloner is one of the most popular back-ups and restores plugins for Dropbox integration on WordPress. It creates complete and differentials backups for all parts of your site, manually or automatically. It supports a built-in scheduler that allows you to maintain backups regularly without sending a request every time. This WordPress dropbox plugin generates backups in opensource standards like CSV, TAR and Mysql formats that allows you more flexibility and control to restore data in a variety of ways. Not only for Dropbox, but these features are also supported for Dropbox Backblaze, AWS, Azure Blob, FTP, SFTP and Google Drive. One of the most installed plugins on WordPress, the WP Database Backup plugin allows you to easily create and restore database backups easily with a single click. You can either manually or automatically create and store backups on Dropbox. It also allows you to save and restore your site data on safe places like FTP, Email, Google Drive and Amazon S3. Create auto backups and restore them easily with a single click and even search and sort your database if needed on this easy to use the free plugin. 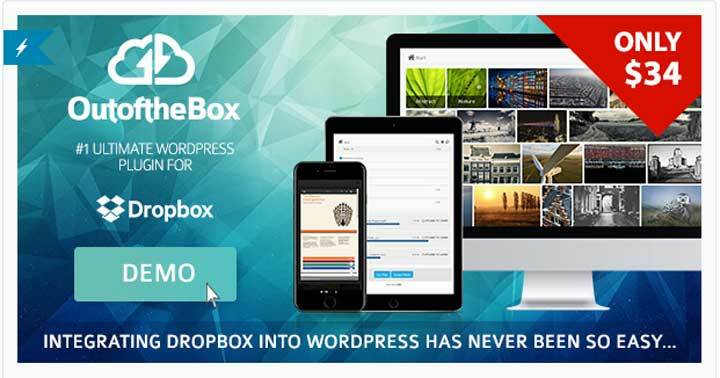 The paid version of this drobox WP plugin offers services like even simpler manual and automatic backups, multisite compatibility, exclusion of folders and files not needed, simple one-click restore and automatic removal of oldest backups. 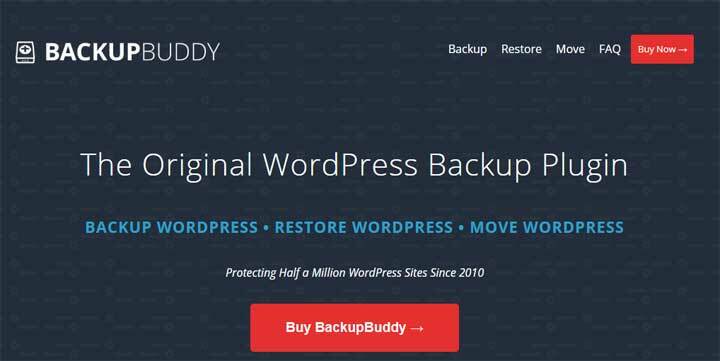 BackupBuddy is one of the biggest names in the premium plugin market when it comes to WordPress site backup and restoration. Developed and supported by iThemes, this powerful plugin lets you create complete auto-backups of your WordPress site at pre-configured intervals. Not only this but it also allows you to restore your compromised site within seconds to its former state. BackupBuddy is compatible with the most popular external storage spaces including Dropbox. It also supports Amazon S3, Google Drive, and Stash, which is BackupBuddy’s own dedicated storage space. It is used by almost half a million sites around the world and is undoubtedly the most reliable premium plugin for Dropbox. One of the most popular WordPress Dropbox plugins, Out-of-the-box is an innovative, highly customizable, and user-friendly Dropbox integration plugin that displays your Dropbox files in a sorted and clean manner. It offers complete WordPress and Dropbox integration by embedding a Dropbox browser, that allows full Dropbox access for your visitors. What’s better is that this access can be restricted by the admin according to the needs of your business. The features that make it stand out from the crowd are multimedia support on Dropbox servers, beautiful picture galleries, built-in lightbox, and even lazy load. 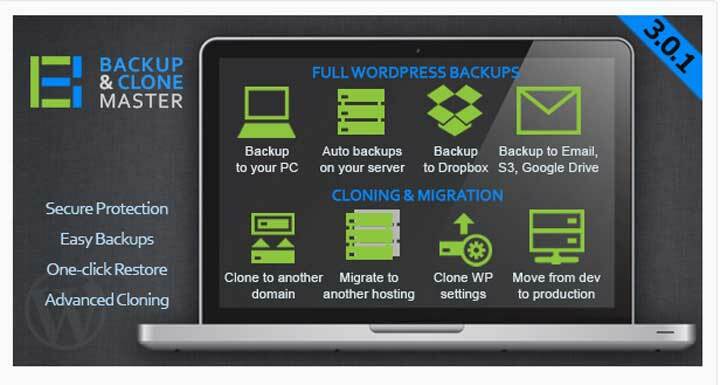 The all-in-one backup solution for WordPress, WordPress Backup & Clone Master allows you to effectively and quickly create backups, restorations, and even site cloning and migration. One of the most secure, easy, and reliable plugins for Dropbox and WordPress, it also helps you to schedule backups or manually when you want or need automatically. Store your backups on your PC, website servers and external Dropbox servers and restore them with a single click if your site meets an accident. Also, this plugin is a high-quality plugin for people who need to move or migrate their website to a new host or domain. One of the unique Dropbox plugins for WordPress, ‘Embed Any Document Plus’ is an embedding plugin that allows you to embed or display your DropBox files and documents easily on your WordPress website. The special thing about this plugin is that all additional browser plugins such as Flash and Acrobat reader are not needed. What’s better is that these files can be embedded from your DropBox to your WordPress site in a single click. 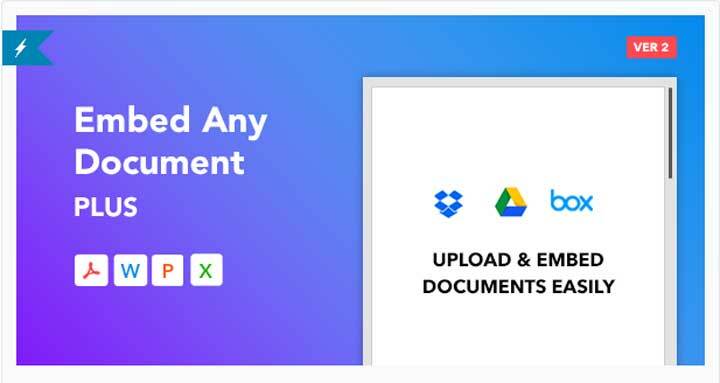 With a single click, it generates a simple external link for your content that can be posted anywhere on your site to display files and documents on your Dropbox cloud storage. Not only does this make your site easy to browse and interactive, but it also helps you save valuable bandwidth. Dropr effectively transforms your Dropbox account into a fully functional secondary media library for WordPress. In simple words, this WordPress dropbox plugin allows you to access all your Dropbox files easily from the WordPress text editor screen and then drag and drop them where you like and need. What’s better is that you can do this even without uploading them to WordPress. Not only does this make file management more comfortable, but also helps you save valuable bandwidth. 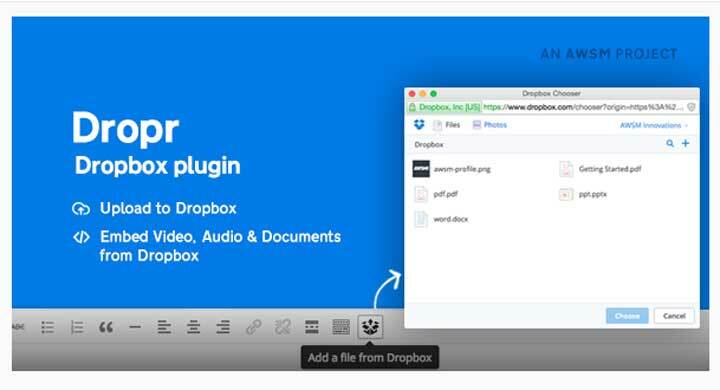 More secure and safer than most other Dropbox integration plugins, Dropr provides seamless Dropbox and WordPress integration capabilities that allow you to work with text and multimedia files in the easiest way possible. One of the most trusted backup plugins in the market, the Super Backup & Clone – Migrate for WordPress is a lightweight self-diagnostic plugin that allows you to maintain backups and restore your site from Dropbox with just a few clicks. Not only for Dropbox, but this powerful dropbox plugin also integrates seamlessly with a plethora of cloud services like FTP accounts, Google Drive, Amazon, OneDrive, Copy.com, and even RackSpace. Equipped with an intuitive dashboard, it also allows instance migration of your website if needed. Easy to set up and supported by the extremely reliable CodeCanyon support team, it is considered to be one of the most trustworthy Dropbox plugins for WordPress. Any Other Dropbox Plugin for WordPress? Hopefully, the information above will help you choose the best plugin to integrate Dropbox with your WordPress site. However, we pray that you never lose any form of data in your entire life. Although, even if you lose any important files accidentally, these incredible Dropbox plugins listed above will surely come to your rescue but only if have installed them beforehand.